ImgBurn is a lightweight swiss army knife of a free media burning software. I used to use the heavyweights like Nero, Roxio, etc but ever since I found ImgBurn there is no turning back. 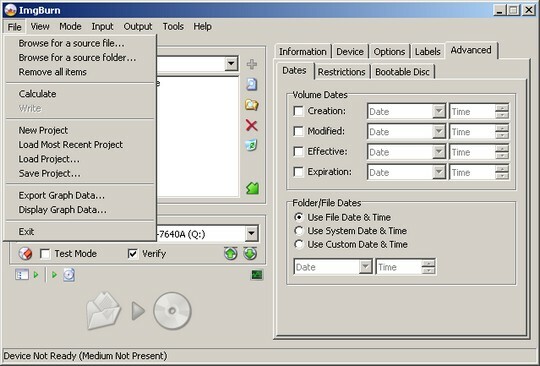 You can use it to build DVD Video discs (from VIDEO_TS folder), HD DVD Video discs (from HVDVD_TS folder) and Blu-Ray video discs (from BDAV / BDMV folder). It supports unicode names so using an international character set works flawlessly as well. One of my favorite features of this versatile application is the image queuing system while burning several images. An easy-to-use layer break system lets you selection for double layer DVD video needs. It can detect the ‘Media ID’ and set an Automatic Write Speed right down to a drive by drive level. For regular users, ImgBurn offers an easy to use interface to get the job done quickly. For advanced users, it has tons of configurable settings to get the most out of this excellent free tool. How to Make ImgBurn Portable? 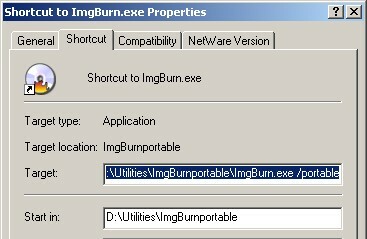 Unzip the installer file (SetupImgBurn_2.5.0.0..exe) into a folder like ImgBurnPortable. Use something like the excellent 7-zip. If you are looking to try out a fast and lightweight yet versatile media burning software, look no more! If you’d like to explore more free open source software, check out the OpenDisc project that features some of the best free open source software in one CD download. You are quite welcome, Deni!